The treatment is repeated from 10 to 15 times and each procedure takes up to 3 minutes exposure to the temperature of -120 C. It takes place in the most advanced cryogenic chambre in Poland. After each procedure the patient conduct 30 minutes of phisical exercises on our fully equipped kinesitherapy gym. Preceding the start of the procedure each patient is examined by a doctor qualified in cryogenic therapy. Method such as this has numerous positive effects on health and revitalises the body as well. Procedure is conducted by a physician with M.A. in medicine or a certified technitian under direct supervision of qualified doctor. Cryotherapy is a method of treatment in which a whole body of a patient is exposed to extremely low temperature (about -120 C) produced in a special low-temperature chamber for a period of 2 to 3 minutes. As a result the patient’s organism produces multiple natural substances witch have tremendous positive effects on one’s body like the acceleration of the healing proceses, strengthen of immunic system and rejuvenating of a body cells. 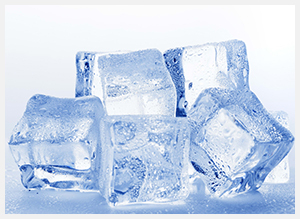 The cryogenic treatment is very well tolerated by human body and completely safe so it may be applied to almost eny patient because of a short time of a procedure and a special micro-climate in a chamber – low humidity and increased oxygen level.